Don’t let the ordinary sounding title fool you. This one is the best of the films I have previewed at Reel Asian 2018. 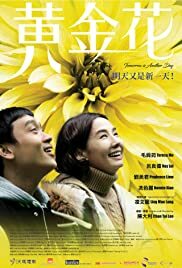 Mrs. Wong (Teresa Mo) knows her husband, a driving instructor (Ray Lui) is having an affair, but for the sake of their marriage and their autistic son (Ling Man Lung), she chooses to silently endure his infidelity for the time being. What follows is an extremely realistic, heartfelt drama of a working-class woman struggling to breakthrough her midlife crisis. One cannot help but feel for the central character, Mrs. Wong. Director Chan lets us into the reason she persists. Two reasons, one which is her son who occasionally shows how loving he is The other is that she has little other alternatives. TOMORROW IS ANOTHER DAY and there is nothing one can do about it. At the film’s mid-point, the film turns into a suspense thriller as Mrs. Wong decides to stab the husband’s mistress to death. Besides the compulsive storyline, Chan’s camera also shows the beauty of Hong Kong as a city as well as the terrible gossip that exists in every neighbourhood in such a closed community as Hong Kong. Teresa Mo and Ling Man Lung both win acting honours at the Hong Kong Film Awards.